I’m getting ready to go to Sicily today … and this is what I’m thinking about: Banqueting! Stirring Sicily, our hands-on cooking experience starts in 12 hours! 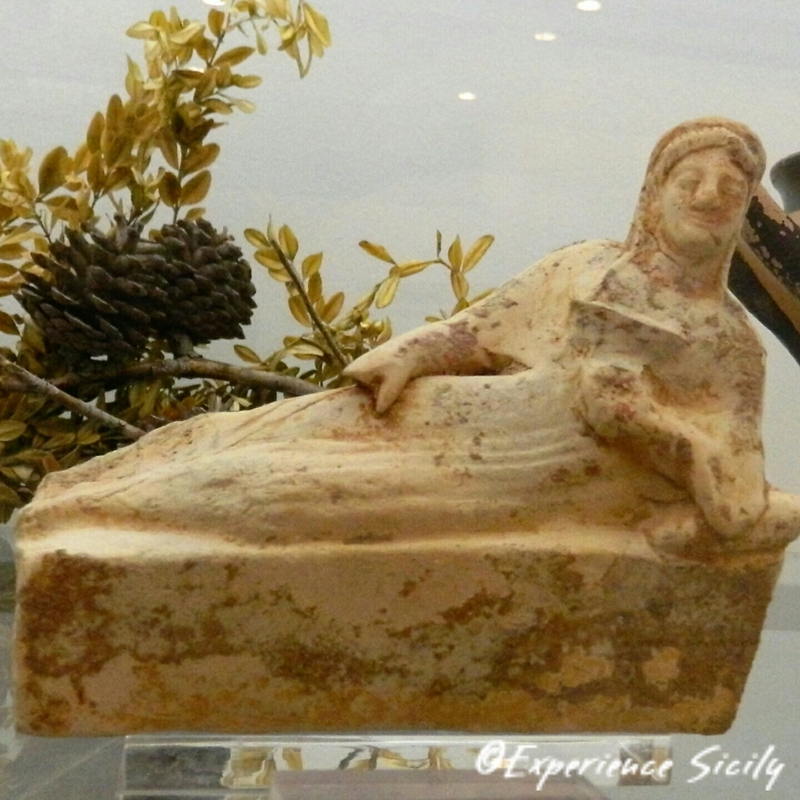 This late 6th century BC statuette of a banqueting figure on a bed is housed in Palermo’s Museo Archeologico Salinas. It was found in a Punic (AKA Carthaginian) Necropolis in Palermo. Previous Post The Dance of Saint Vitus and Who is Vito Anyway?